Various Seo Softwares are available in the market which guarantees success to its buyers but the buyers tend to use these types of softwares for black hat seo techniques. It brings the situation to worse level than before and put your website in radar of penalty of Google algorithms. These softwares are made to make life easy of a seo and they do so but what we do is not an ethic activity. Just like a comment poster software can post thousands of comments in minutes or seconds but are we adding value with our comments to the blogs on which we are commenting is the most important factor which can’t be ignored. We compromise with the quality and Google start keeping an eye on our each and every activity thereafter and we are put under penalty. Making thousands of backilnks in minutes is not the funda with which seo softwares have been produced. These are to make our work easy not to make it black hat. You can use seo softwares but beware of Google algorithms and don’t spam using them. Try to build quality backlinks with them and you will soon find your websites getting authority backlinks from relevant sources. Find thousands of relevant sites to get backlink from but don’t use auto commenter or auto posting on them. Create relevant and niche content that can add value to those sites then post it with your backlinks. 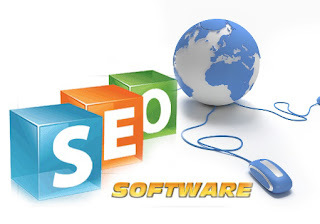 seo softwares are always good to use. I have many of them and I love scrapebox the most as it is convenient to use it and results are incredible. and look forward tto new posts.